In the ever-evolving world of satellite navigation technology and GNSS applications, monitoring the landscape and having the latest information can be critical. The GSA’s latest market report takes an in-depth look at market opportunities and trends across eight key market segments — Location-Based Services (LBS), Road Transportation, Aviation, Maritime, Rail, Agriculture, Surveying, and Timing and Synchronization. 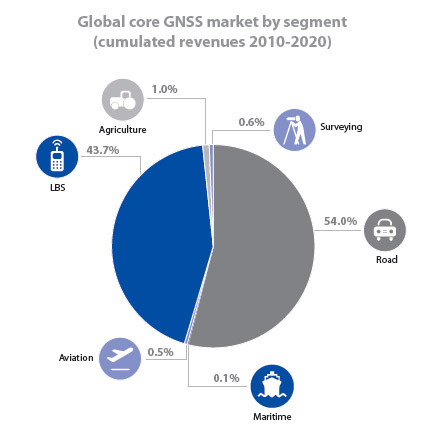 According to the report, the GNSS downstream market is expected to produce more than €70 billion, or about $78.3 billion, in revenue annually in 2025. When the revenue created by added-value services is included, this number could more than double, the GSA reports. • The global GNSS downstream market is forecast to grow by more than 6% annually between 2015 and 2020. • Following the declaration of Galileo Initial Services in 2016, chipset and receiver manufacturers and application developers are leveraging Galileo signals, and a number of Galileo-ready devices are already on the market. • By 2025, the installed base of GNSS devices in drones will reach 70 million, more than twice the sum of other professional market segments combined. “Providing in-depth information on today’s GNSS market opportunities and a data-driven forecast of its evolution through to 2025, this edition is a must-read for anyone looking to successfully navigate this promising market,” says GSA Executive Director Carlo des Dorides. 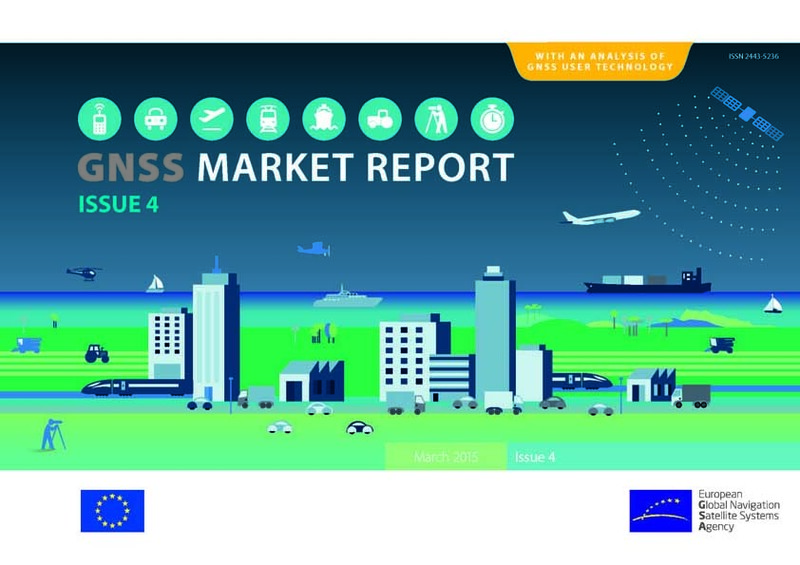 The GNSS Market Report takes a comprehensive look at the global GNSS market, providing a thorough analysis per market segment (LBS, Road Transportation, Aviation, Maritime, Rail, Agriculture, Surveying, and Timing & Synchronization), region and application type, including information on shipments, revenues and installed device base. • An expanded section on macro-trends like the Internet of Things (IoT), Smart Cities and Big Data. • Segment-specific user perspectives, with an emphasis on the increasingly stringent demands of today’s GNSS users. • The added-value that European GNSS (EGNOS and Galileo) brings to each segment and how Galileo is already enhancing the functioning of many applications. • A special feature on the important role that GNSS plays in the growing market of drones (i.e., UAVs/Remotely Piloted Aircraft Systems). The GSA also just published its first Galileo Open Service quarterly performance report, which covers the first three months of 2017. It is available online here. Following the Declaration of Initial Services in December 2016, the GSA will publish a new Galileo Initial Services Open Service report after each quarter. These quarterly reports are designed to provide the public with the latest information on the Galileo Open Service’s performance.